Who hasn’t said this at least once? But if we subscribe to classical economics — which says that the price paid for any given service is the price at which the quantity supplied equals the quantity demanded — aren’t we paid precisely what we’re worth? And if we still believe we’re trading at a discount to our intrinsic value, is it possible to change the market’s mind? I do value my ability to think across silos, I countered, but it’s true that I value my skill of building a financial model more, because it was so painstaking to acquire. Not surprisingly, the stocks that lead with their unique or disruptive capabilities command the highest absolute multiples. The market historically rewards “disruptive innovation — emerging growth” stocks with multiples of 30x or more. The market pays top dollar, applying a premium multiple to disruptive innovations, because the odds for disruptors are much better — 6x greater in terms of success, 20x greater in terms of revenue opportunity, as Clayton M. Christensen wrote in The Innovator’s Dilemma. Translating this to our careers, when we proffer to the marketplace a disruptive skill set, focusing on our distinctive innate talents rather than ‘me-too’ skills, we are more likely to achieve success and increase what we earn. For example, consider the outcomes for two presidential candidates: on the one hand, Mitt Romney, who highlighted his political views rather than his business acumen; on the other, Bill Clinton, who understood that, as smart as the former Rhodes scholar is, his real skill was interpersonal intelligence. In my own case, I may not get paid top dollar if I’m hired to sequester myself every day, constructing financial models: I build models well, but not remarkably so. But if I lead with my unique skill set of searchlight intelligence, following with “can build a model/value a company,” the calculus changes dramatically. 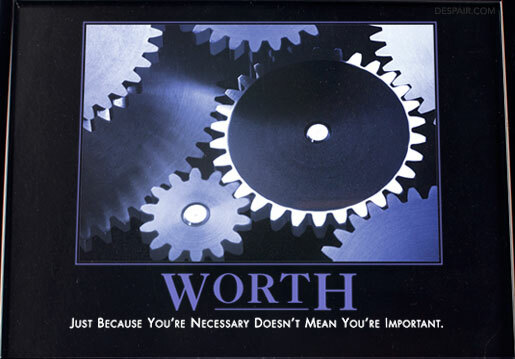 We all want to get paid what we believe we are worth, which may be even more than what we currently estimate. The trick then is to lead with unique or disruptive skills, offering the hard-won skills as a kicker. When you know exactly what your value proposition is, rather than perpetually trading at a discount, you’ll command the premium you deserve.